​Please browse the full spa menu to discover the perfect skin care or spa treatment for you. The goal is to help you obtain and maintain the healthiest skin and body possible. Experience a younger more vibrant you. ​My priority is simple – it’s you, and your well-being. Professional skin care products by PHYTOMER & H2t are used in facial treatments and are available for purchase. ​For more information about excellent skin care in San Diego, call today. I would love to provide you with more information about my products and services.I look forward to your call. TCA is an amazing chemical that penetrates deeper than Glycolic Acid while allowing for measureable and controllable effects to the skin. 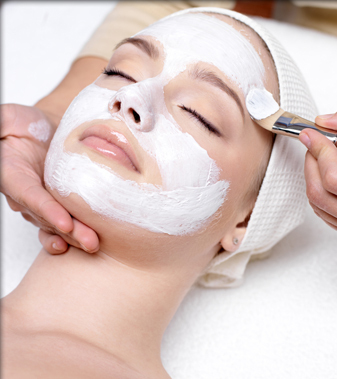 ​​Are you looking for professional skin care in San Diego? If so, you have come to the right place. Purchase our remarkeable skin care products here. ​Escape to a peaceful, serene environment, and experience the healing arts and the magic of "self care" in a unique and relaxing surrounding. A "special place" where you can be pampered and relax. beauty and wellness needs are handled with expertise. I offer a blend of traditional therapies for both women and men utilizing carefully selected products. I provide top quality service and a commitment to excellence. I specialize in relaxing and rejuvenating facials and am certified and trained in Advanced Chemical Peels in San Diego. My experienced approach ensures that you will not only enjoy your treatments, you'll benefit from them on many levels. So whether you’re looking for a day of pampering or simply a little maintenance, Skin by Loreen is your oasis. available in the world today.